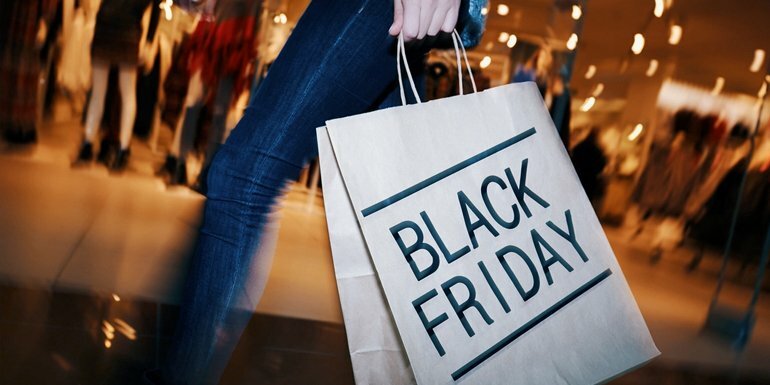 Black Friday is fairly new to the UK, but since it’s popularity spurt a few years ago it remains an extremely busy period for retailers and eCommerce stores and has been quite the learning experience for many shop owners. It’s huge spike in demand is an entirely different beast to that of even a Christmas or New Year sale period. Some retailers have opted to skip on Black Friday entirely, both to save the hassle of management and fulfilment and to not “degrade” the status of their brand by having rock-bottom sales. On the other hand, other eCommerce stores have embraced Black Friday sales as well as Cyber Monday. Whilst Black Friday only falls on one day, more and more retailers are opting to prolong or stretch the sale across multiple days. Some opt for a whole month, whilst others offer a week-long sale. This not only gives you more opportunity to reap the rewards of a well though-out sale, but it also spreads the pressure out across multiple days as opposed to just one frantic Friday. In turn this means less pressure to fulfil orders so you can focus on the quality experience your customers expect. Black Friday promotions can be very effective for attracting new customers and growing your audience. Make sure you include something in your packaging or boxes to entice these new customers to be long-term buyers. Some free samples, vouchers and other welcome literature can make all the difference in promoting your brand and enticing customers to come back for further purchases. Plan this material in advance and reap the rewards of repeat purchases in the future. You can’t prepare enough in this case. Packaging is one particular area where planning ahead will have many benefits. By packaging your promotional items differently, they will be far more manageable and easier to locate in the warehouse. You can also consider whether saving some costs on packaging during the promotional period is an option. In a nutshell, many customers are expecting to grab bargain products during the rush, so simplifying your packaging (within reason) will often times be perfectly acceptable to the end buyer. Of course, you don’t want to effect your customer experience and brand, particularly for new customers, but skipping on the ‘fancy’ packaging features (such as hand-tied bows) can save time and cost during pressure periods. Communication is key at this particular time of year. Ensure your fulfilment service is well aware of your plans for Black Friday and advise of the scale and what kind of spike you expect. This allows for plenty of time to plan logistics in advance. You will also want to communicate with your customers as to manage their expectations and advise if you believe there may be any delays during the busy period – even a simple note in any dispatch emails, explaining that delivery may take a little longer than usual, will suffice. Customers who receive prior warning are usually far more understanding! Interested In Our eCommerce Fulfilment Services?